Orinoco likened to a cat called Ulysses! Found on the internet today, a nice little piece about Orinoco. It was on the Geograph website, which has the tag line, “photograph every web square”. 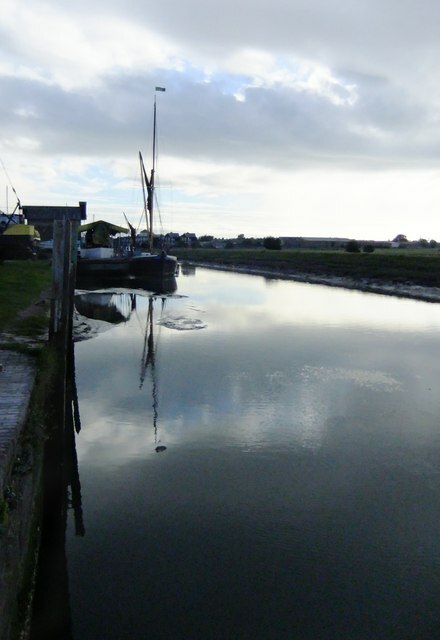 “The sailing barge ‘Orinoco’, moored at Iron Wharf, Faversham Creek. “A calm, warmish June evening – warmer than many in June 2012. In the distance, the unmistakable silhouette of Oyster Bay House, with its hoist high above the creek. A little nearer, there is what looks rather like the awning over a railway station platform – this has in fact been rigged up over a vessel undergoing restoration. Posted on 03/07/2012, in Faversham, sb Orinoco and tagged Faversham, Iron Wharf Faversham, Orinoco. Bookmark the permalink. 1 Comment. I’m tickled to find that what I said about Orinoco – and the photo of her I posted on Geograph – got picked up by folk in the sailing barge community. When it comes to barges I’m strictly a spectator (so far, at least) but I do love the old things, and try to post a few barge pictures on Geograph from time to time. I watched the later stages of the 2014 Swale Match from Shellness spit the other day. Conditions were tricky for photography, but I’ve salvaged a few shots, and will put them up on Geograph in the next few days.